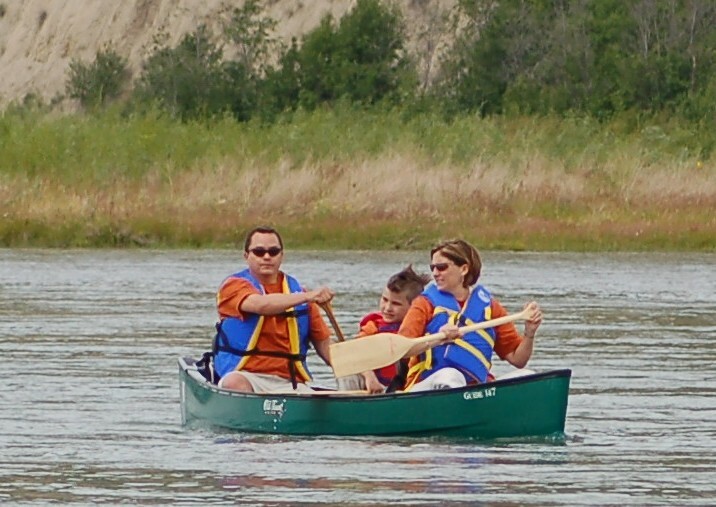 Assembly of First Nations BC Regional Chief Shawn Atleo and his wife Nancy paddled the Peace River at the third annual Paddle for the Peace event. A record number of people showed their support for protecting the Peace River Valley last Saturday. The third annual Paddle for the Peace event, hosted by West Moberly First Nations and the Peace Valley Environment Association, attracted 347 paddlers in 166 boats. Paddlers came from as far as Austria and Germany. There were several participants from Vancouver Island, the Sunshine Coast and the Okanagan Valley. The majority of the paddlers were local residents from Fort St. John, Dawson Creek, Chetwynd, Moberly Lake and Hudson Hope. All attended to celebrate the Peace River Valley and show their opposition to the proposed Site C dam. Assembly of First Nations BC Regional Chief Shawn Atleo from the Ahousaht First Nation on Vancouver Island paddled down the river with his wife Nancy. Members from several Treaty 8 nations also canoed, volunteered, and cooked the feast for 227 people later in the afternoon, sponsored by the West Moberly First Nations. Peace Valley Environment Association volunteers ran the logistics of the event and organized games and activities for the many children who participated.